Relations between the two parties, who realigned in July last year after a three-year break, are going through a crisis in recent months. PATNA: Bihar Chief Minister Nitish Kumar and leaders of his party JD(U) stayed off celebrations of International Yoga Day organised by the state government departments on Thursday while leaders of other parties in the ruling NDA - BJP, LJP and RLSP - attended the events. The main event of the day, organised at Pataliputra Sports Complex in Patna, was attended by Governor Satya Pal Malik, deputy chief minister Sushil Kumar Modi and several state and Union ministers, including Ravi Shankar Prasad and Ram Kripal Yadav, from BJP. Leaders of JD(U), the main ruliy in Bihar, were conspicuous by their absence. This is the fourth consecutive International Yoga Day celebrations that Nitish Kumar, who is also JD(U) national president, and his party colleagues shunned in an apparent snub to ally BJP. Relations between the two parties, who realigned in July last year after a three-year break, are going through a crisis in recent months. Even though the mass yoga session at Pataliputra Sports Complex was organisthe state health department, headed by BJP leader Mangal Pandey, in association with the state art, culture and youth affairs department, JD(U) leaders said they had no idea about the government's participation in the event. "People have also been practising yoga in their homes. What is the need to do it (yoga) in public? Anyone's participation or absence (in public events) should not be an issue. Yoga has been a part of India's culture, and the PM's appeal is also appreciable. However, yoga can be practiced anywhere," said JD(U) state chief Bashishtha Narayan Singh when asked about Nitish Kumar and senior JD(U) leaders skipping the yoga events. Last year, when JD(U) was a part of the grand alliance that included RJD and Congress, the state government had celebrated the day as World Music Day, which coincides with International Yoga Day. Nitish Kumar had termed the Yoga Day celebrations as a "publicity stunt" last year and said he also practiced yoga, but "never advertised it". But this year, with JD(U) and BJP being allies and the state government departments organising the Yoga Day events, it was widely expected that Nitish Kumar and JD(U) leaders would attend the events. Deputy CM Sushil Kumar Modi, however, said "dozens of people from JD(Unded the Yoga Day celebrations. "Do not people from RJD and JD(U) practise yoga? It is not necessary that everyone comes out to participate," he said, explaining away the absence of Nitish Kumar and other JD(U) leaders in the events. Bihar's political corridors were abuzz with speculation that JD(U) deliberately shunned the International Yoga Day celebrations to accentuate its distance with BJP. 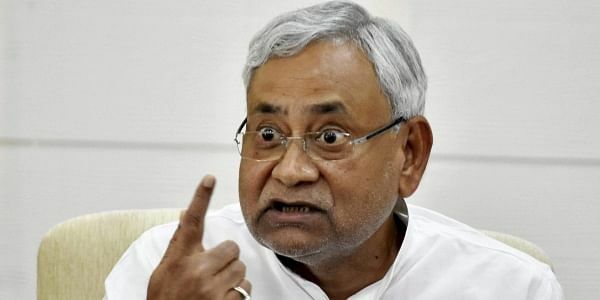 The Opposition RJD and Congress leaders dubbed JD(U)'s stance as evidence of bitterness between the two top NDA allies. "What more can be on display than this to prove that there are severe tensions between JD(U) and BJP? This was not un expected at all," said Bihar Congress chief Kaukab Quadri.